Little by little, top luxury brands are embracing new technologies. 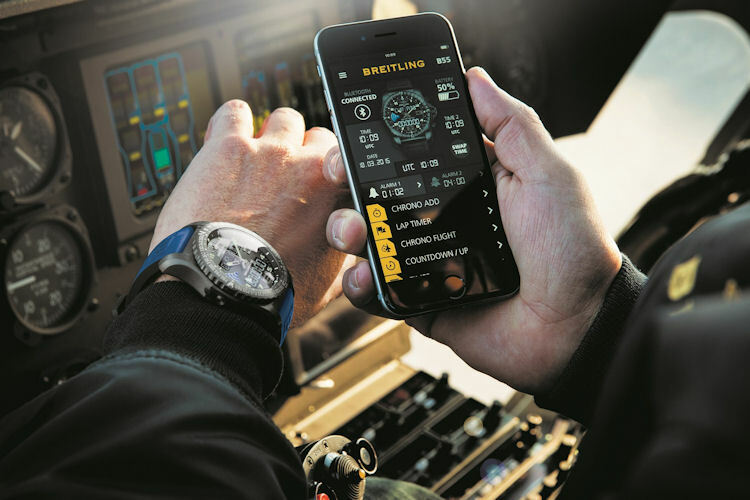 Breitling’s new B55 Connected pairs an impressive pilots chronograph with a smartphone, leveraging the best features of each, while leaving the watch firmly in charge. Given the B55’s origins, it’s no surprise that the emphasis is on the watch. Fans will be happy to know that this watch does not require the presence of the phone to function. 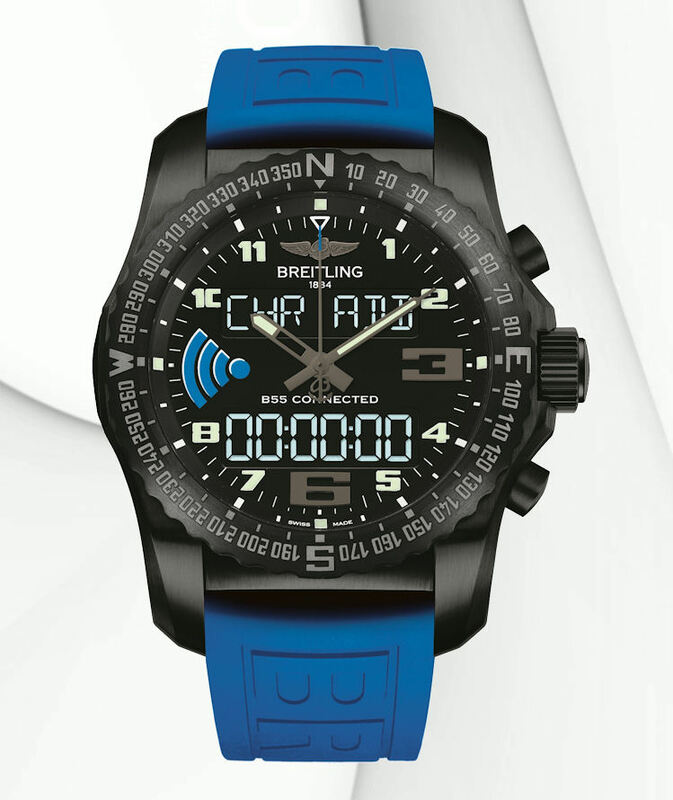 Breitling uses the two-way watch/phone connection to create a two-piece tool in which each component is put to its best use. The smartphone’s main asset is its large screen and its ergonomic interface, so B55 owners can use their phone to perform various adjustments to the watch, including setting the time and alarm, changing the time zone, changing display and operating parameters, enabling night mode, and more. 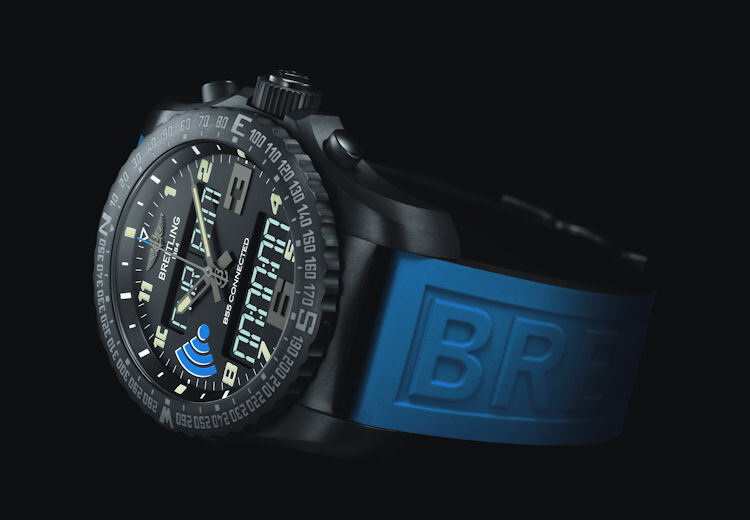 Breitling says this results in a considerable gain in comfort and efficiency for the user. As you would expect, the B55 Connected offers a wide range of innovative functions for pilots, including an electronic tachometer, a countdown/countup system enabling a sequence of countdown and “long duration” timing (Mission Elapsed Time) operations, and a clearly aviation-oriented “chrono flight” device that can record flight times while memorizing the take-off time, landing time, and date. Additional functions everyone will appreciate include a perpetual calendar, a 1/100th of a second chronograph, and a battery charge indicator. An innovative miniaturized rechargeable battery system allows the watch to be recharged via standard electrical outlets and a computer USB port. The user can also upload data such as flight times from the watch to the phone, where they can be stored and shared. When not being used with the phone, the B55 Connected offers its own simple and logical control mode. Functions are selected by rotating the crown, and activation and deactivation are accomplished by means of two pushpieces. The two highly legible LCD screens feature a high-intensity backlighting system that can be manually activated by pressing the crown, or automatically when the user tilts his wrist more than 35 degrees, which proves particularly effective when the hand is gripping aircraft controls or a steering wheel. The Caliber B55 is a thermocompensated Breitling SuperQuartz movement that is 10 times more accurate than standard quartz. The movement is chronometer-certified by the COSC, the official Swiss chronometer testing institute. 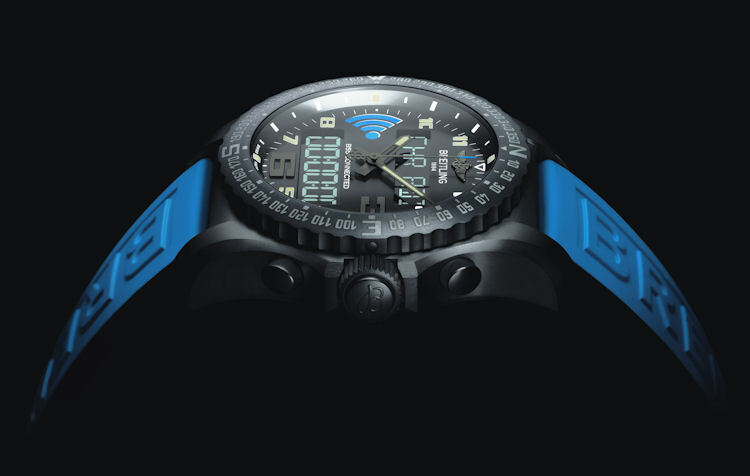 The B55 Connected is also distinguished by its technical look, based on a titanium case with black carbon-based coating and a dial bearing a bold blue wireless symbol. This original blue and black theme continues on the sturdy rubber strap. Though the case diameter has not been provided, we expect it to be the same as the last year’s B50 model. Look for more information to be released during Baselworld, March 19-26.